Despite the failure of the Better Care Reconciliation Act (BCRA) in the Senate earlier this week, conservatives are showing no signs of throwing in the towel on the effort to do away with the Affordable Care Act (ACA) and leave millions of Americans in the dust. Healthcare advocates know that this is no time to celebrate. Direct actions in Washington, D.C. on behalf of those who depend on the ACA have continued this week. Senate Majority Leader Mitch McConnell, R-Kentucky, has indicated that he will try what’s been dubbed “repeal now, replace later.” Under that tactic, Republicans would repeal the ACA without simultaneously putting in place something to replace it. The nonpartisan Congressional Budget Office has estimated that 32 million people would lose healthcare coverage under this plan. Some centrist Republican Senators have said they would not support the move, and it isn’t guaranteed to succeed. Cordes was part of a group of nearly 500 healthcare advocates who staged a day of action in the offices of the Senate in Washington, D.C. on Wednesday. Advocates paid a visit to the offices of nearly every member of the Senate. It’s the third direct action in D.C. that Cordes has participated in during the past few weeks. On her two previous visits to the nation’s capital she was arrested for engaging in civil disobedience. Some demonstrators at Wednesday’s action were arrested, according to Cordes. As of the time of our interview with Cordes, 6 individuals were still being held on the charge of “resisting arrest,” despite the fact that the demonstrators only response to the Capitol police was to practice non-violent passive resistance by going limp. Silver said that preserving the ACA matters to her in part because she has family members who, under pre-ACA rules, would have reached the lifetime caps on healthcare expenditures by their insurance companies. The ACA eliminated lifetime caps, and Silver said without the healthcare law she isn’t sure her loved ones would have survived. As an accountant, Silver sees clients every year who appear to be on track to achieving the American Dream until a healthcare event brings financial devastation. 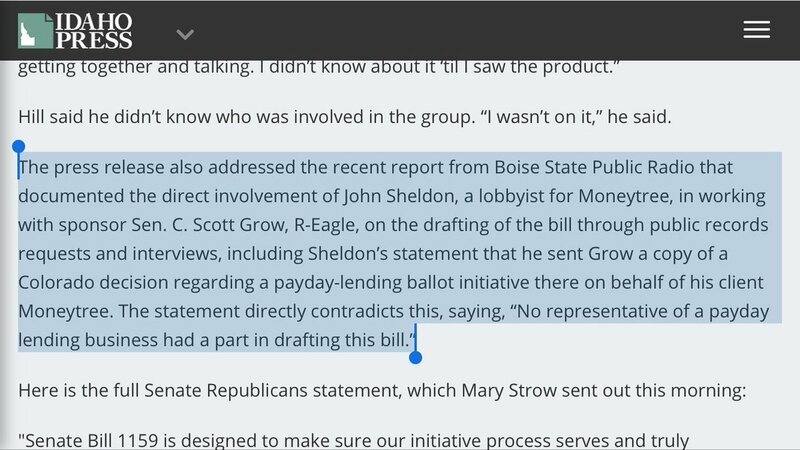 Silver was part of a group of activists who visited the D.C. offices of Idaho Senators Crapo and Risch on Wednesday. The group was not permitted to meet with the Senators, although Silver said it appeared that Senator Risch was present in his office. Call Senators Crapo and Risch today and every day. Tell them to have heart, protect our healthcare and demonstrate some ability to be a decent human being by not leaving millions of Americans behind.